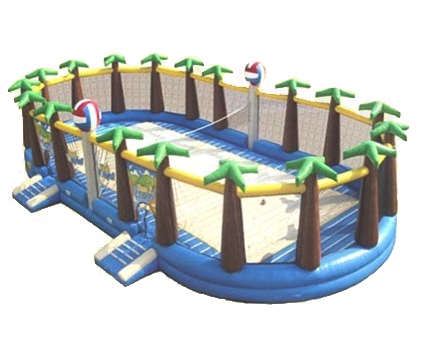 This Beach Volley Ball Inflatable is lke playing volleyball right on the beach but MORE FUN! Very Spacious design, great for all ages, even adults too. Book today and let the Fun Begin. Appox 12 players at a time.